Welcome to River's Edge Villas in Cameron Heights. 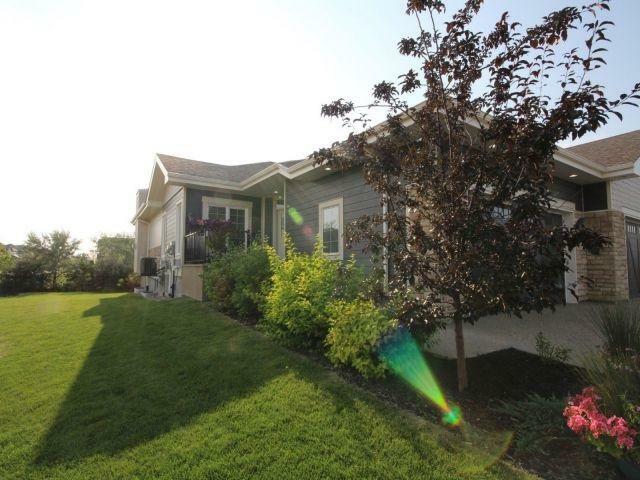 This previous show home is the only unit currently available in this desired 18+ community. 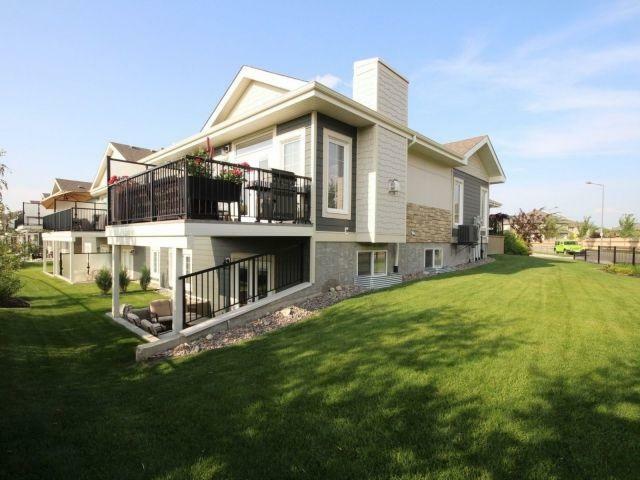 A gorgeous walkout bungalow backing onto a lake has 2090 sq ft of stunning modern living space. Main floor master bedroom , kitchen, great room , office and laundry make your day flow effortlessly. 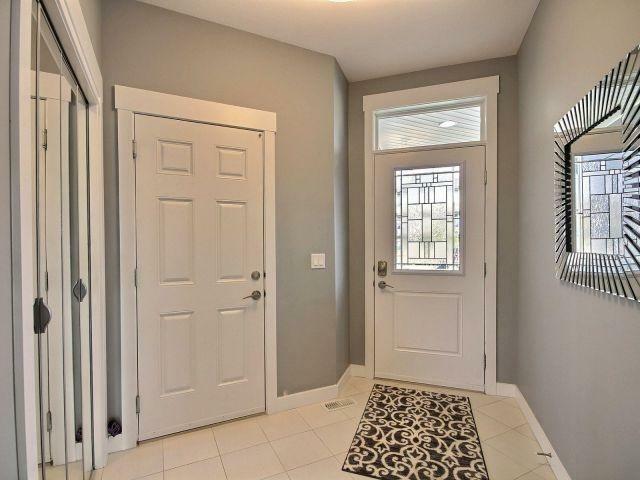 Downstairs is the bright open walkout basement with a lower patio, family room and large second bedroom with a full bathroom. Finished oversized double garage has in floor heating, and fireplace. Enjoy the privacy the mature trees provide as you sit on your upper deck while your yard care and snow removal is done for you. Large windows allow the sunshine in as you enjoy the view of the lake, trees and stunning sunsets. Entertaining is easy with this open concept layout. 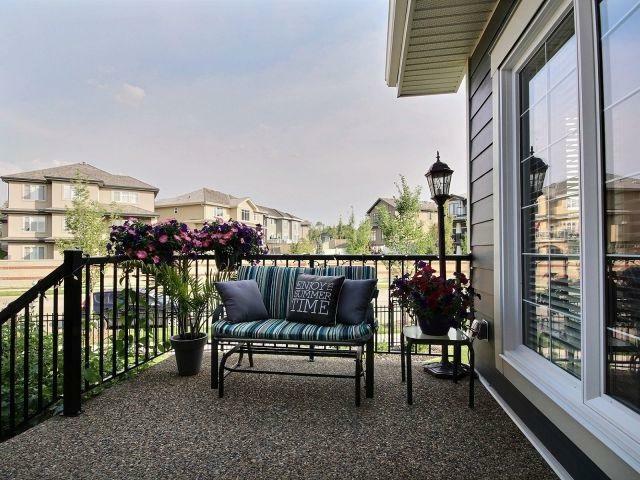 Steps away from nature walks or biking in Edmonton's stunning river valley .